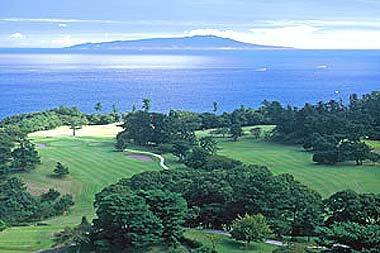 Course Information Oshima is a name of the island, which you can look out on the Pacific Ocean from the course. It sits on a pine covered plateau bordered by red cliffs droppingin to the Pacific Ocean. This is a hilly course, but you may use the 2-seaters carts which are allowed on fairways. Oshima is little shorter than fuji, and has more tricky holes.